There are different views on using coffee during homeopathic treatment. In homeopathy, the medicine prepared from coffee is called Coffee Cruda. One view is that it would antidote the homeopathic medicine and must be avoided during homeopathic treatment while there is an opposite view as well. Another point of view is to avoid coffee to be on the safer side, which sounds better. My answer to taking coffee is not in plain yes or no. I have a reason for it. Whatever we eat or drink has a definite effect be it coffee or anything else. 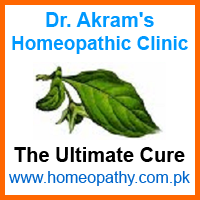 Such effects can be curative and positive, might hinder the process of cure or even aggravate the disease. Take the example of psoriasis. If a psoriatic person is taking homeopathic treatment but is also using coffee, the medicine will try to push him towards cure while coffee (also tea and many other items) will keep pulling him back to psoriatic area. In such cases, the medicine must be powerful enough to over power the effects of coffee and still create its own curative effects, which is very difficult. Thus, coffee must be avoided or else it would not let the medicine work as desired and the person would not see the cure unless he is very lucky. Similarly, coffee would be counter-curative in case of arthritis and many other diseases. Take diabetes as another example. In this case using black coffee will not harm and might rather be helpful in reducing the sugar level. Diabetes is just one example; there are many more. The above two examples are opposite to each other. In the first case coffee must be avoided while in the second case, it is the other way around. So the diet precautions would depend on the nature of disease and should not be generalized. The physician must understand the effects of the food items (at least those commonly used) and advise on case to case basis; that is what I do. Advising against the use of coffee in general is common because most of the common diseases belong to the same group where psoriasis resides. By "group" I do not mean just the skin. If in doubt, avoid a particular item is another rule, which is commonly followed and is not very wrong. For correct advice, however, the physician must understand that antidoting the remedy and hindrance in cure due to unsuitable foodstuff are two different things. So, use the correct remedy but avoid the incorrect diet.